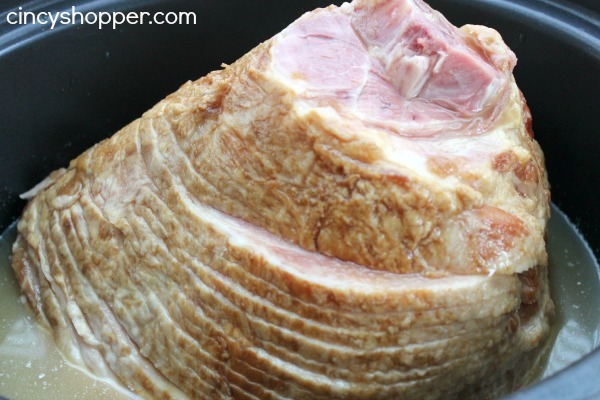 With Easter just around the corner this Slow Cooker Ham Recipe will be a time and dirty dish saver. Each and every holiday the main thing that I really do not look forward to is having dirty dishes to clean up after cooking. I am always pressed for time when cooking all of our side dishes and desserts. 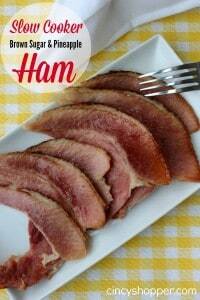 I really wanted to attempt a Slow Cooker Ham Recipe to help with the main dish cooking and also help with less dishes. I picked up a spiral ham at Aldi last week as I was ready to give it a go. I knew I wanted to make a ham with pineapple and brown sugar flavors (they seem to be my families favorite combo when we have ham). My kiddos love spiral ham so I knew that this ham would get eaten. As they arrived home they could smell the wonderful pineapple and brown sugar scent and immediately wanted to know what was cooking. This recipe is quite simple as that was my goal. I know Easter morning is going to me a bit crazy around here and having a simple slow cooker ham recipe was my ultimate goal. 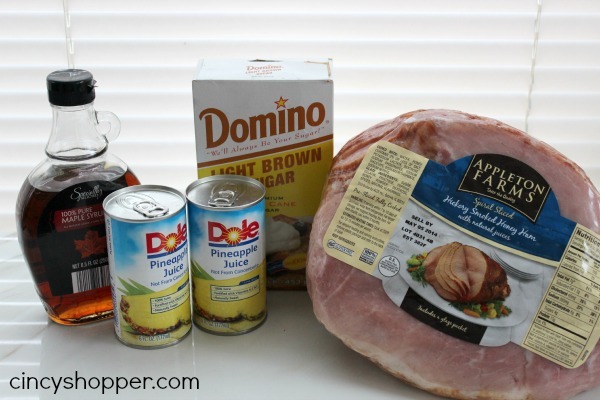 So, just a ham, pineapple, maple syrup and brown sugar are needed for this tasty ham. 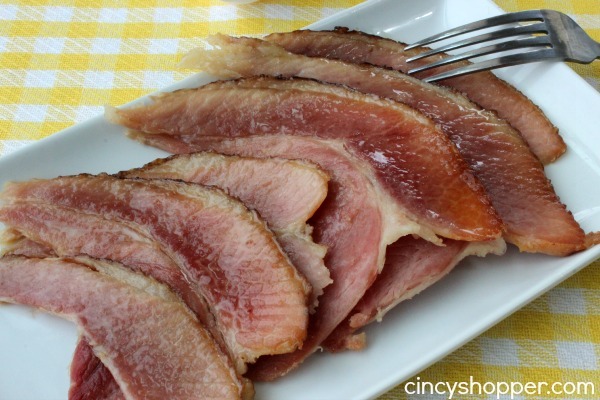 Overall I am pleased with the flavoring and how well the Crock-Pot ham turned out. The flavors were all present. I did leave my ham in a bit longer than I probably should have (so I did cut back my cooking time from 5 hours down to 4). I had ran out to run some errands and the hubby had not taken it out at 4 hours. But it was still great at 5 hours (just some dry pieces were present). Just not as wet as I would have liked. So be sure to not over cook beyond the 4 hours ha ha. My slow cooker is 5 quarts, that’s all I have to work with. My oven bit the dust. Will a 5 qt cooker be big enough?? ?